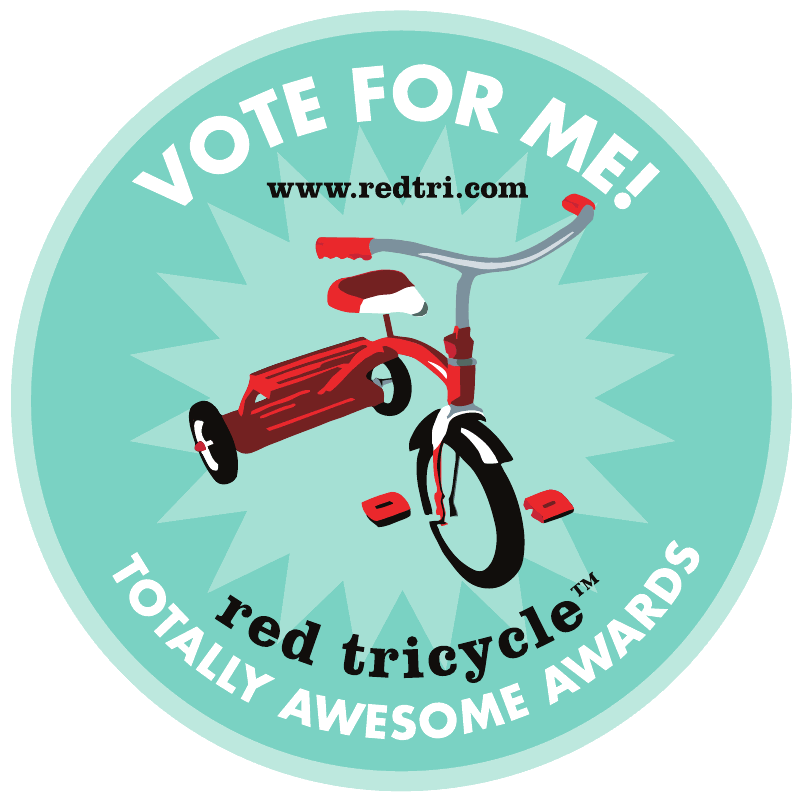 I was introduced to Rickshaw Designs about two years ago. The owner Catherine is actually a cousin of a friend of mine from New York City. During her previous work with Pottery Barn and Ralph Lauren, Catherine had visited India and fell in love with the people and the beauty of the country. 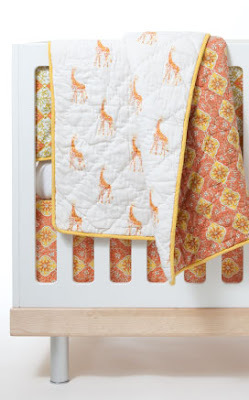 The line is hand block print textiles from Indian, perfect for the bohemian baby! My favorite sets are the Jaipur and the Bombay collection (see below respectively). 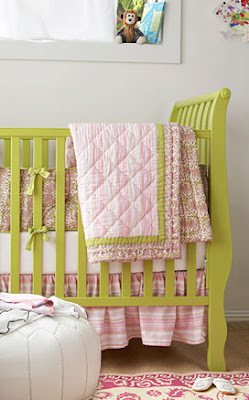 Each set is reasonably priced at $380 and comes with the bumper, blanket and crib skirt. Although the sets do not come with sheets, any linen or poplin sheet in a coordinating bold color would look fantastic (as always white is also a safe and practical choice too). 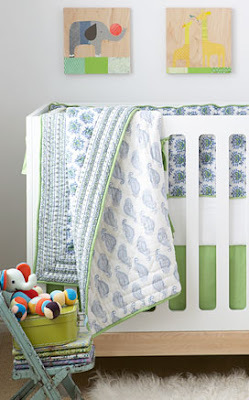 Bella Notte Linens also has some wonderful solid linen crib sheets available in over twenty coordinating colors. 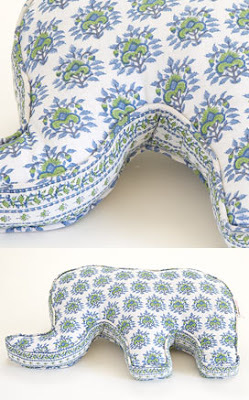 All sets can come with coordinating elephant pillows which are adorable and unique. I think they would look wonderful on a glider in any nursery. The newest set in the collection is the Udaipur. This would serve as a wonderful gender neutral set since the new green and yellow for the "I don't know baby" is orange. If you like this look I was recently introduced to the line Roberta Roller Rabbit. They have a collection of children's cover-ups, and crib and adult blankets and pillows that have the same Indian Bohemian feel as Rickshaw Design. 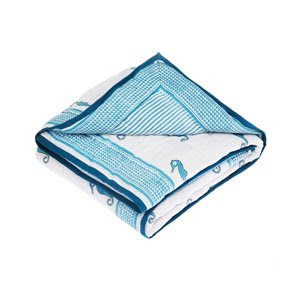 Roberta Roller Rabbit Blanket in Seahorse Blue (a perfect gift for the beach baby). Cina has changed into a major dealer on this consider. In reality, a number of the duplicate totes are usually so excellent in which also chanel replica sale professionals can not notify the particular variation. These kinds of chanel replica are usually great at creating counterfeit duplicate totes. The particular substance, the particular design as well as the detail is indeed excellent it is extremely tough to be able to separate among a proper stylish tote as well as the duplicate.